Terry Galloway, director at NGalloway has been working behind the scenes to create the first joined up ‘Local Offer’ for care leavers in England. Every council in England and wales is currently creating an offer as part of the Children and Social Care Act 2017 but here in Nottinghamshire we are creating it together and already influencing the national agenda. 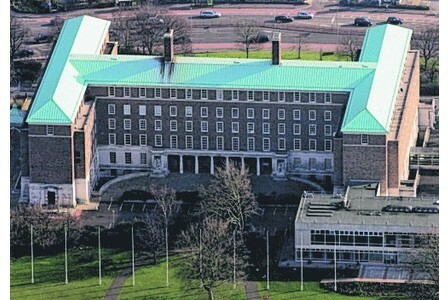 It’s very different in unitary authority areas such as Nottingham City, Derby City and Leicester City because they have one set of councillors and policy makers across all services. The Social services in a unitary authority only have to walk down the corridor to talk to the housing department but in a 2-tier such as Nottinghamshire they have to talk to 7 housing departments. Terry Galloway who says his family were destroyed by the care system because they were never prepared now uses the resilience and unique experience to influence change. He sees this as an opportunity to make a real difference to society as a whole because it affects us all. We all know someone that could do with a bit of help. We created NGalloway because it fits nicely with the work we are doing with children in care and care leavers. As we expand we will create job opportunities for care leavers and as we consolidate our position in the housing market we can have influence on things such as protecting the rights of some of the most vulnerable in society. Terry who was in care himself and lived in over 100 places by the time he was 15. NGalloway came to the market in Nottinghamshire because of the huge 32,000 property Selective Licensing scheme and are expanding their services. The long term strategy is that we will actually deliver these schemes in partnership with councils and landlords street by street. We are building up an evidence base of what works and how best to achieve the specific outcomes of Selective Licensing. In our view although very controversial, the scheme is already having a positive impact on tenants and landlords. Landlords are coming to us for help and property conditions are improving as a result. At NGalloway we now offer problem solving to landlords and agents who have complications in their tenancies and we can negotiate with the tenant, landlord, council, neighbours and others to find a solution where everybody wins. In most cases we are able to work closely with the council and the tenant to change behaviour, fix rent arrears and save the tenancy if there is a desire to do this.